LILIN participated in the Hydroaviasalon 2018 event held in Gelednizhik, Russia. 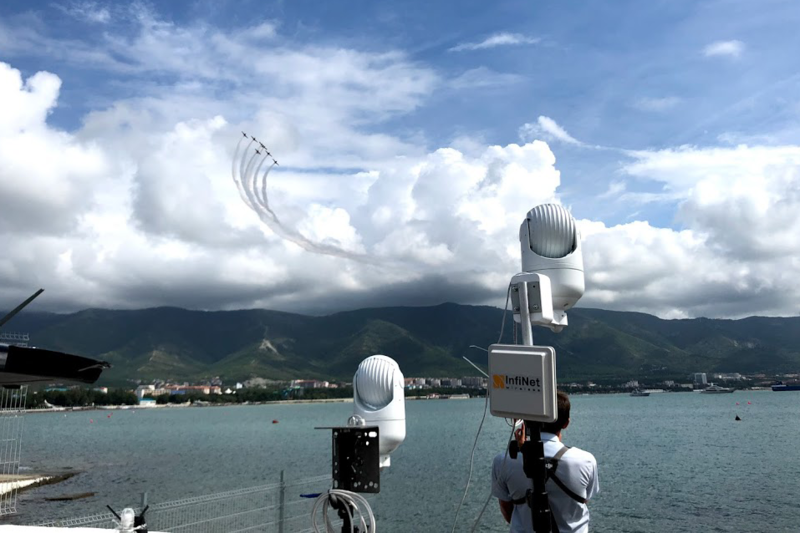 Speed Dome PTZ camera PSR5024EX30 showed amazing tracking skills at the event with its mechanical characteristics and intelligent analysis function. The PSR5024EX30's water-proof and vandal-proof capability makes it reliable for harsh outdoor environments, successfully attracted high attention and interest from various parties in the air defense field. Hydroaviasalon is the annual seaplane event held in Russia. In addition to demonstrate the excellent performance of the aircraft, it also covers on defense and surveillance systems. LILIN PSR5024EX30 served as the pursuit camera for the aircraft at the exhibition. The PSR5024EX30 continuously rotates with 360-degree rotation, with shift range from 0.1 to 300 degrees per second. It also has 30x optical zoom and 16x digital zoom capability, makes it easy to aim at specific targets moving in high-speed, especially for vehicles and aircraft. The intelligent tracking function of PSR5024EX30 is mainly based on the video analysis and high-speed focusing. When an object enters in the monitoring area, the PSR5024EX30 detects it and starts to track it. PSR5024 can also rotate vertically by -30° ~ 210°, brings the target into view and focus it immediately to present a clear image, even a fighter aircraft is also hard to escape. Warning !!! For demonstration purpose, do not install PSR camera upside down. Hydroaviasalon is held in Gelendzhik where it rains a lot in summer and the temperature varies much by season. The highest temperature in summer is 39 degrees Celcius, and in winter it is recorded at a low temperature of -22 degrees Celcius. Facing the harsh climate and rainy weather in the coastal areas, the IP66 waterproof function and fuselage technology of the PSR5024EX30 come in handy. Even the super typhoons on the Pacific and Atlantic coasts with the strong winds up to 60m/s (216 Km/h) are hard to affect the operation of PSR5024EX30. Since Hydroaviasalon is a national event in Russia, senior officials on site have been highly appreciative of the PSR5024EX30's extraordinary performance. LILIN has also joined the discussion about the possibility of product applications and provided solutions for many security issues. 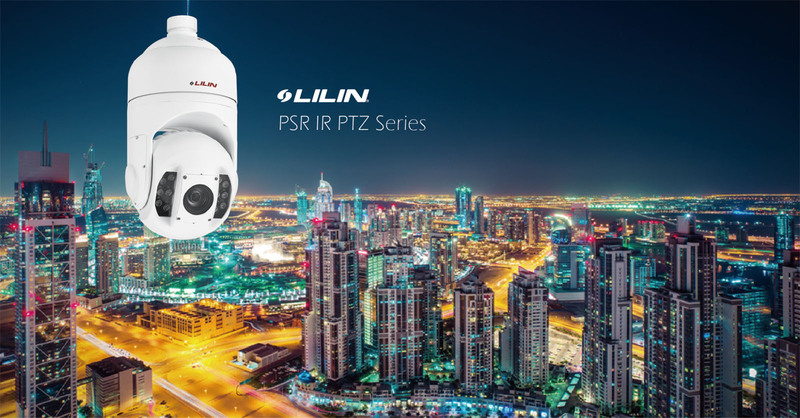 Steve Hu, product manager of LILIN, said "The perfect image analysis function of PSR5024 can make it a powerful monitoring weapon. We believe that it can play a decisive role in defense and aircraft tracking applications. Plus the self-repellent function, it can save a lot of maintenance cost and become an ideal choice for outdoor PTZ monitoring applications."